I have not set offsets for the ordinal directions, as it is not clear whether this is necessary: platforms are not possible in the ordinal directions and it is unlikely that a train will ever terminate on them. There are some gaps/overlapping in transitions, but I have seen these even without any offsets applied. I should be interested if anyone were to wish to experimental with ordinals. The whole set of re-aligned narrow gauge vehicle .dat files is available on my Github repository. 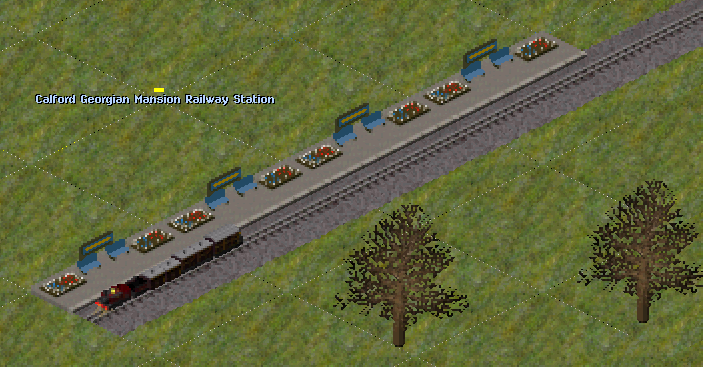 I do not yet know whether the same offsets will work for standard gauge trains (or trams or maglev trains, for that matter), but I am minded to try it. Feedback on the work so far would be appreciated before I take time in going further, however. I think that the problem is not solved by using offsets. Using the offsets the entire tile is moved. 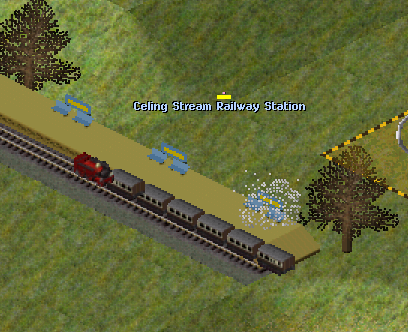 Use the offset for trains means that whenever a train goes round a curve (test with a sharp bend) some coaches will override the previous or subsequent due to its offset that have some directions than others. I tried the offset for aircraft that have the same graphic problem in airports, on airplanes intervene is easier because the tile is one and therefore there is no overlap, the only problem is that when the plane changes direction the movement is not is more fluid, but you can see a arretraemento or fast forward. I have not yet tried realigning ordinals - that is the next step, I think. However, as indicated before, the movement around corners is imperfect in any event, and there is much to be said for the point that the anomaly at termini that this fixes is more significant than any anomaly at corners which it introduces. Will this update also correct gaps like this? I had hoped that it would, but preliminary testing suggests not. Have you update pak128.britain exp to with this fix? Not yet - work is still in preliminary stages. Re-aligning the ordinals has resulted in less anomalies when turning corners than before. I have yet to test whether these values are suitable for standard gauge vehicles. I have found that this does not work as well as might be expected in Experimental, as the overhanging behaviour returns when the vehicles are in reverse formation (see here for details). This should not affect Standard, however.